Tooth whitening is a simple, non-invasive dental procedure used to change the color of natural tooth enamel and is an easy way to enhance the beauty of your smile. Because having whiter teeth has now become the number one esthetic concern of most patients, there are a number of ways to achieve the best result. The most popular method is a take-home tooth whitening system, but there is also an in-office whitening system and we will discuss which method is the appropriate one for you. Since whitening only works on natural enamel it is important to evaluate replacement of any old fillings, crowns, etc. Replacement of any restorations will be done after bleaching so they will match the newly whitened teeth. Tooth whitening is not permanent and touch-up brightening is required. The frequency of the brightening depends on your habits, so if you smoke, drink coffee, tea or red wine you may need to brighten more often than an individual who does not. 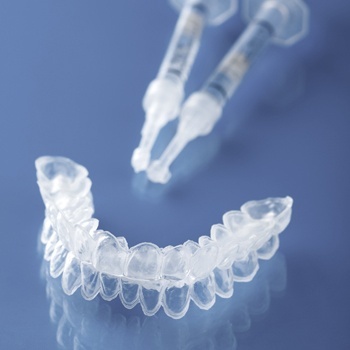 If you chose take-home whitening we will take impressions (molds) of your upper and lower teeth. We will make models from these molds and fabricate custom whitening trays that are delivered about one week later. At the delivery appointment we will try the trays in for proper fit and comfort and make adjustments if necessary. 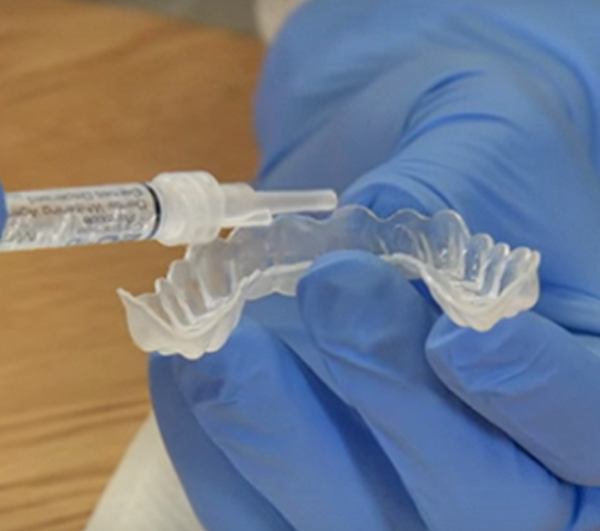 The trays are then worn with a special whitening gel either once or twice a day for thirty minutes or overnight for a period of one to two weeks depending on the starting shade of your teeth. It is normal to experience some sensitivity during the time you are whitening, but it will subside shortly after you have stopped bleaching. If you want more immediate results, then in-office whitening may be the choice for you. With in-office whitening you will have the procedure done while you are at the office. 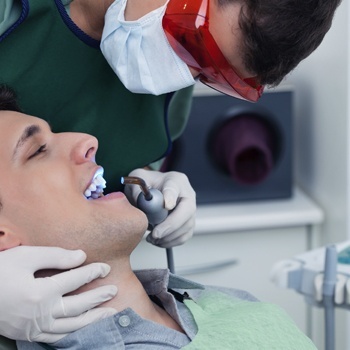 We will isolate your teeth and apply the gel while you sit comfortably in the dental chair. In about an hour your teeth will have whitened multiple shades and you will be given take-home trays and gel to maintain your new color in the future. There may also be some sensitivity with this procedure, but it also subsides after you stop whitening. As with any dental procedure it is important that you keep your regularly scheduled recall appointments to help maintain a beautiful, healthy, white smile. Regular, preventative care is an affordable choice. Don't wait until it hurts. Copyright ©2015 Riverwalk Dentistry, SC | All Rights Reserved.